Several of the best-selling new home designs we found this year incorporate specific spaces designed for pets. More than half of US households own a pet, led by 71% of Vermont households. And according to our most recent Consumer Insights survey of more than 20,000 home shoppers, 45% of pet owners indicate that they treat their pets like royalty. Click here to view an infographic on Consumer Insights and household pets. As shown below, pet suites have become a hot new feature that many builders are offering as an option in new homes. The suites include dog wash areas, a bed, plenty of storage and sometimes even a camera so you can check on your pet while away. With prices ranging from $1,500 to over $16,000, these pet suites can be a simple upgrade or more elaborate additional square footage within the floor plan configuration. 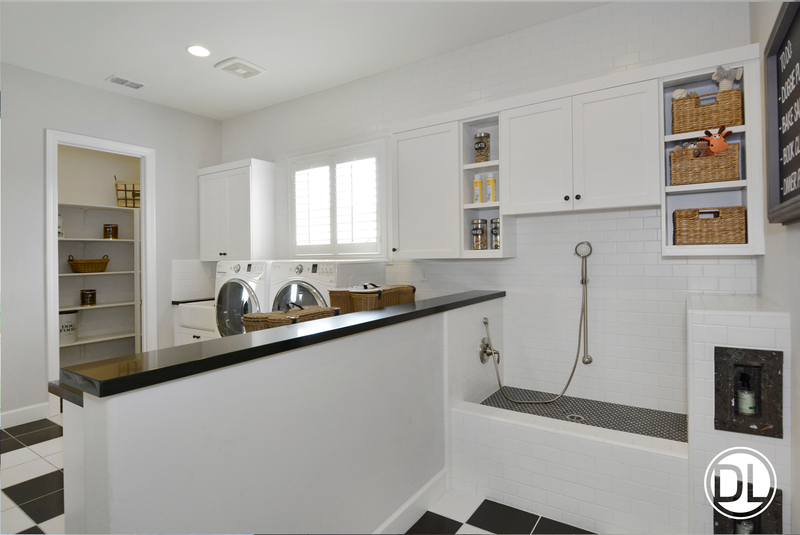 Pet suites are often incorporated into optional enlarged laundry rooms, such as the dog wash in K. Hovnanian’s Line K at Willowsford in Virginia (shown below). 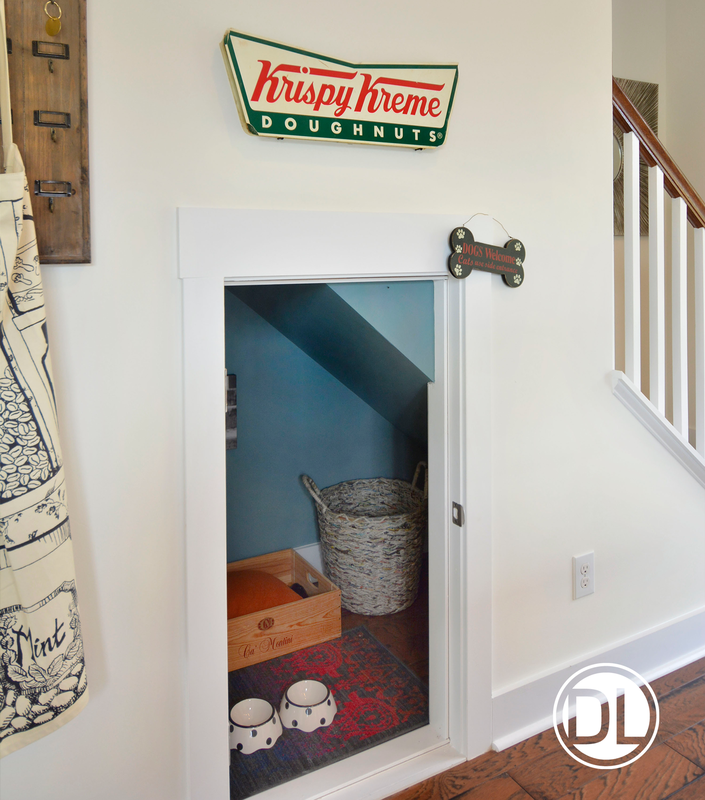 Although appropriately merchandised for our four-legged friends, homeowners also see the opportunity to use this space for their two-legged children. In our survey, the optional dogwash upgrade shown below was selected by 40% of their buyers. 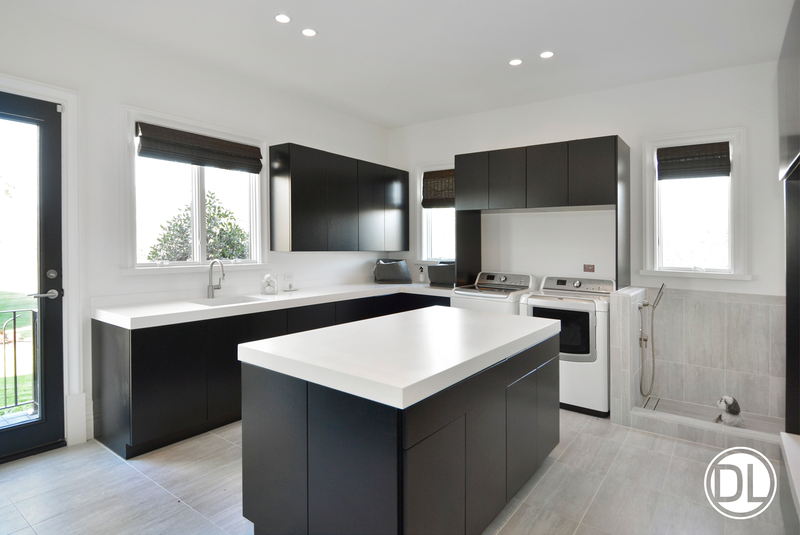 Laurelton by Standard Pacific Homes in Sacramento illustrates another great example of the more extensive pet suite. While still contained within the laundry area, Laurelton’s pet suite has been separated from the main use of the laundry room and includes a pet shower and cabinetry. We estimate that 25% to 35% of buyers select this costly option. Pet-friendly spaces are not just for the luxury market. Clever merchandising can be used for those hard-to-merchandise spaces, as seen at Brightwalk Townhomes in Charlotte, North Carolina (pictured below). According to our Consumer Insights survey results, 44% of those surveyed would like to see a dog park within walking distance of their home. These parks also serve as a great place for homeowners to connect with neighbors while allowing their dogs to play. We featured pet spaces in our DesignLens subscription report this month. For more information, contact Jenni Lantz at jlantz@realestateconsulting.com.